Worst of all, do you have a sense of overwhelm and anxiety when you think of your priorities for the day? Sometimes we’d like the day to have 25 hours. It’ s being MORE disciplined with your time. To prove the point to myself, I had the idea of putting myself in my favorite athlete’s shoes for a week and see if I’d have a more productive week. 1. Why Think Like an Athlete? Who epitomize achievement through discipline? Who push body and mind, often since childhood, to reach excellence at the highest levels of human performance? Who make sacrifices beyond imagination? Once I got used to her skates, I started feeling a change in my attitude towards work – I was getting more disciplined and focused. « Time management skills are essential skills for effective elite athletes. Athletes who master these techniques routinely are the highest achievers, even those under intense pressure, in all walks of life, from sport to business. You probably don’t have time to do everything that’s on your to-do list. You say NO to all the things that will not have a direct impact on your business. · For a week, try writing down each activity you work on. I know it sounds tedious but it’s a fast and easy way to find out whether you’re spending time on your Small Rocks or your Big Rocks. All you need is a pad of paper to jot down the time you start an activity and the time you finish it. · Decide on what you want to do with the small stuff: eliminate, delay, replace. · Procrastinating? In his book, Art of Procrastination, John Perry, a philosopher at Stanford University talks about “structured procrastination”. It makes sense to follow a classic advice: Just get started. To do so: Chunk down your projects to chewable bites. · Tired? Start observing your work patterns. Are you a morning person? A night owl? Athletes schedule downtime and restorative breaks after each intensive practice. If you’d like to find out how efficiently you are managing your energy, take this free audit. Author Tony Schwartz founded Renewal to help businesses like Google and Coca-Coal renew their energy to be more productive. Working in 90-minute intervals turns out to be a prescription for maximizing productivity. 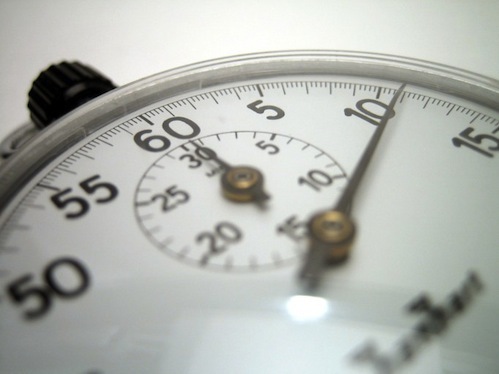 · If you’re still in a rut why not try an egg timer to pace you and get you started? Turn the dial and listen to the minutes ticking away as a mantra. When you do this rotational movement, you send a signal to your brain: JUST DO IT! You are now designing your very own personal productivity routine that fits your unique needs. But you still need to tweak it a little more. 4. Set yourself free and automate your process. Who wants to work like an automat? We tend to associate automation with boredom and lack of creativity. But automating your work routine is different. It allows you to dramatically reduce time spent on making decisions that drain your brain. Automation takes care of ongoing questions about when to look up your emails, when to answer the phone, how long to surf the Internet. Those synaptic pathways in your brain are going to get worn in because of repetition. You create a habit of working on your Big Rocks. By now, do you need to relax? · Try Downward Facing Dog yoga pose for better focus. That’ll get your creative juices running again. Even better, this is where cross-pollination miracles happen. And if you’re taking a break, why not fuel your brain too? You don’t need 12,000 calories per day like Michael Phelps but make room for a balanced diet. Drink – your brain needs it. It’s so obvious we tend to ignore the advice. Hey. We’re humans. Doing nothing is important too. So you’re saying this is too simple? Well, that’s why it’s so easy to dismiss. You see you don’t have to be an athlete to apply these principles. All you need is to approach time with an open-mind and some imagination. One system does not fit all. Play around with your new work routine until it’s a second skin. The ultimate reward is getting the results you’ve been chasing all along. And keeping your passion alive! Laure Cohen coaches business people on ways to sharpen their business acumen and hone their social skills. Find out more on how to stand out from the crowd in record time in her blog http://www.SheMeansSuccess.com. Tweet her @laurecoh.